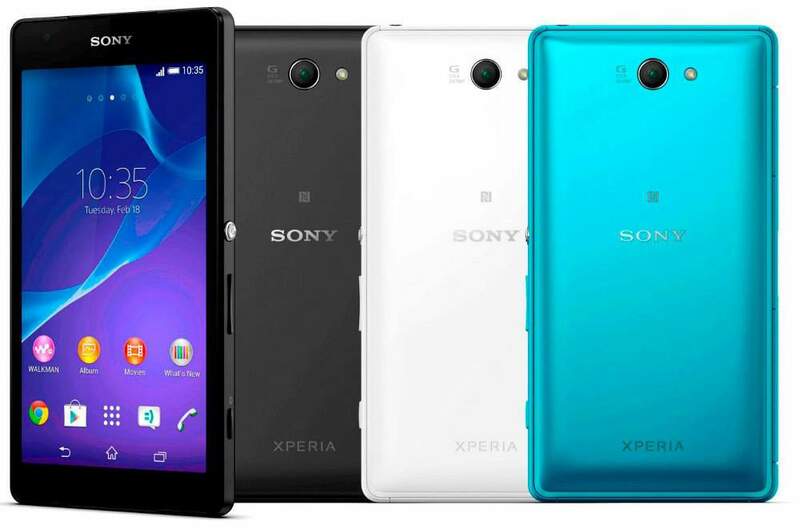 Sony Xperia Z2a D6563 has been launched with some vigorous specifications. The Xperia Z2a has 5 inch display and 2.3GHz 4-core Snapdragon 801 CPU. The price of the Z2-a in Taiwan is NT$ 18900 . It runs on Android 4.4 KitKat operating system. It would compete / VS with Sony Xperia Z2, Samsung Galaxy S5, HTC One M8 and Lg G3. The Sony Xperia Z2a D-6563 has 20.7MP primary shooter with EXMOS RS sensor, Sony G Lens, Led Flash & 4K video recording capabilities. The Phone is 10.8mm thick and weighs 167grams. It has IP55 / IP58 rating for dust and water resistant. The device is boosted with 3GB of RAM and Adreno 330 GPU. It features 4G LTE, 3G, WiFi, Bluetooth, GPS, USB OTG, NFC, Fm radio and 3000 mAh battery. The Sony Xperia Z2a is available in Turqoise, While and Black colors in Taiwan for NT$ 18990 ( RS 38,000 in India ). Company has also launched the T3 with LTE support.